It is getting cooler and darker day by day, as nature is unveiling her sunny and colorful face and preparing for somber winter. Flowers are fading their brightness and butterflies are not visiting my butterfly bush as often as they used to. Yes, we are approaching the bitter cold winter within months. On these cold evenings, something warm like a bowl full of hearty soup is very appetizing and a humble treat everyone longs for. Preparing something hassle free, that requires less detailed attention is what I would endeavor especially after work. We all know that Mediterranean diets prevail due to their simplicity and health benefits. 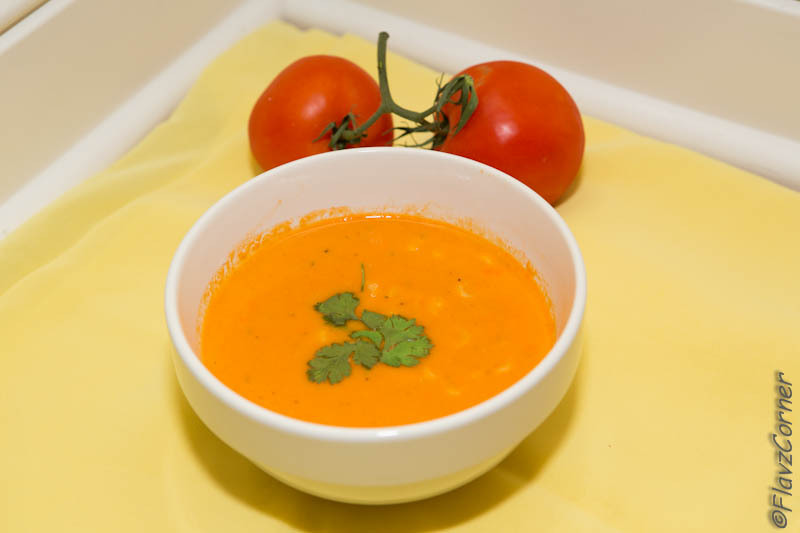 The 'Mediterranean Tomato soup' is a simple soup that incorporates lots of tomatoes and some cooked pasta, which is light in flavor and low in calories. Tomato is well known for its health benefits. Cherry tomatoes are rich in Vitamin A, B and C and are packed with chemicals like lycopene. Twenty percent of the calories in a serving come from protein and none comes from fat. Besides their glycemic index is lower when compared to regular tomatoes. There are lots of websites out there that talks about the health benefits of tomatoes, I don't want to get deeper into that area and slip away from our subject of making this simple soup. Let me get started now!!!! * Cook the pasta according to the package direction and keep it aside. 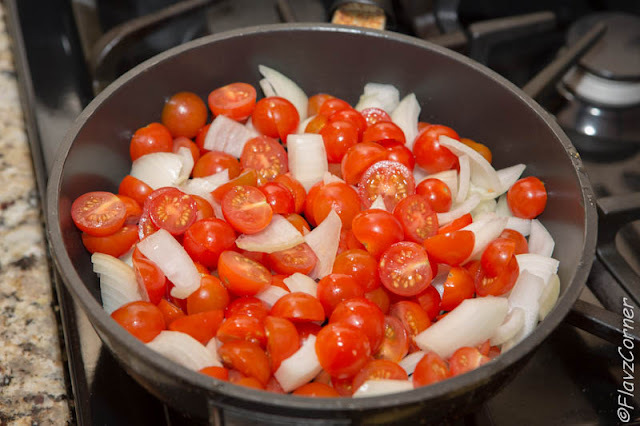 * In a heavy bottom pan, add the tomatoes, onion, celery and garlic, salt, pepper with the oil. * Cover and cook over a low heat for around 30 minutes and remove from stove. * Transfer the soup mixture into a blender or food processor and blend it until smooth like puree. * Return the soup mixture to the pan and stir in stock and the tomato paste, bring to the boil. * Add the pasta and simmer on low heat for 5 minutes. * Adjust the salt and pepper according to your taste. 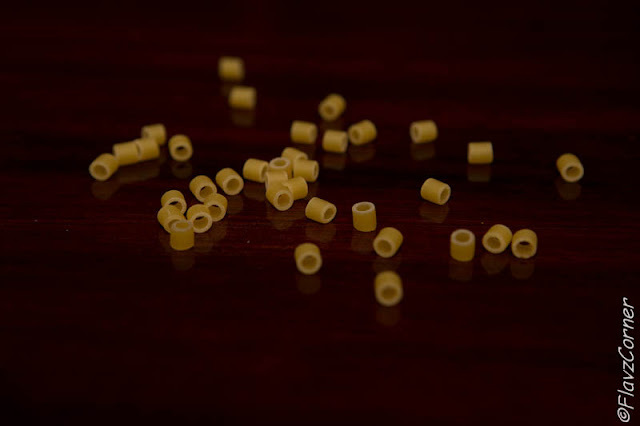 * Garnish with cilantro or parsley and serve hot with garlic bread or garlic sticks. * You can use plum tomatoes if you don't have cherry tomatoes. * Chicken stock in the recipe can be substituted with vegetable stock if you prefer vegetarian diet. stock. I skipped the sieving part to keep the fiber in the soup. Hey if you dont get passion fruit, you can use passion fruit juice that you get in cartons to make the curd. Thanks Nisha!! I will check for the juice then. wow... looks delicious and perfect..